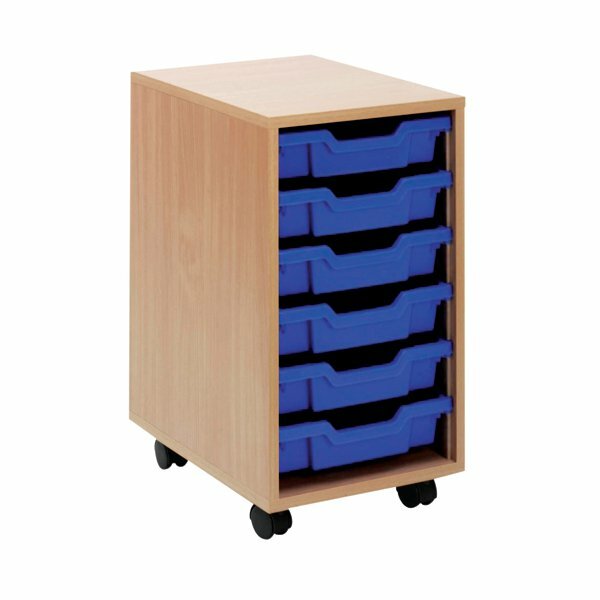 This Jemini Mobile Storage Unit is supplied with 6 blue plastic trays for storage of stationery, files and other office supplies. The strongly constructed carcass has a stylish beech finish and a wipe clean laminate top. The integral castors provide mobility for easy transportation. This unit measures W370 x D495 x H650mm.